Are you tired of getting cooking tips from people who can't even remember what it's like to need them? The shelves are full of people who can tell you how to bake a better pie - but will they remember to tell you that if you have cheap or old tins, you have to line them with baking paper so that you can get the food to come out of them? 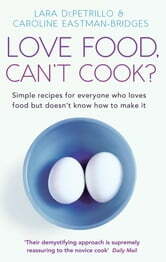 That's where LOVE FOOD, CAN'T COOK? comes in. 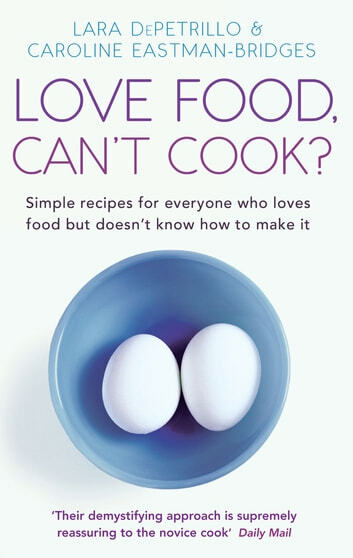 Lara DePetrillo and Caroline Eastman-Bridges remove the intimidation from cooking and offer a light-hearted, smart and funny approach to making great food from your own kitchen - without fancy gadgets and over-complicated instructions. In this heartwarming guide to food in all its forms, you will find superb recipes, amazing facts and invaluable tips to creating fabulous meals at home.